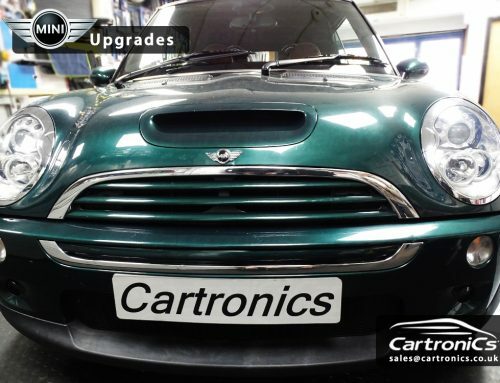 Cartronics can upgrade your BMW Mini with the latest touch screen navigation systems with full Bluetooth and iPhone control built in. The cars electronics are fully integrated to include HK amplifiers and /or steering wheel controls. The cars front door speakers and rear side panel speakers were also upgraded. The overall sound is far superior to the stock system, and the new touch screen is bursting with features.